The Lute Society, now over 60 years old, exists to promote the lute and its music. Members get a new member's pack of 100 pages of lute music, a quarterly magazine, Lute News, with music supplement, an annual journal, The Lute, discounts on our growing range of publications and other benefits. Even if you can't make it to our meetings, playing days, and residential weekends in Britain, joining is an excellent way of building up your music library, and keeping in touch with other lute players, and with news in the lute world. New Beginners' lesson - 36 - Sight reading by Lynda Sayce. 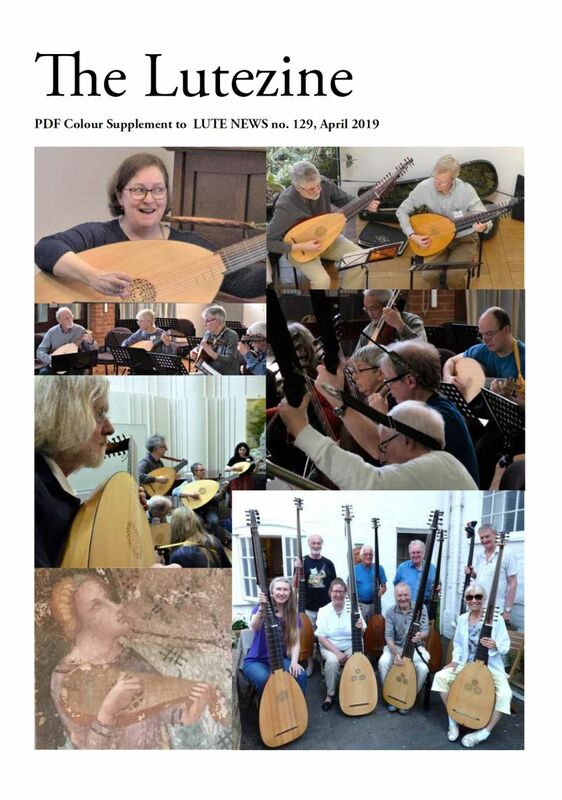 Issue 129 of Lute News is now out - see its colour front cover and ezine. See a gallery of previous front covers on the publications page, under Lute News back issues. 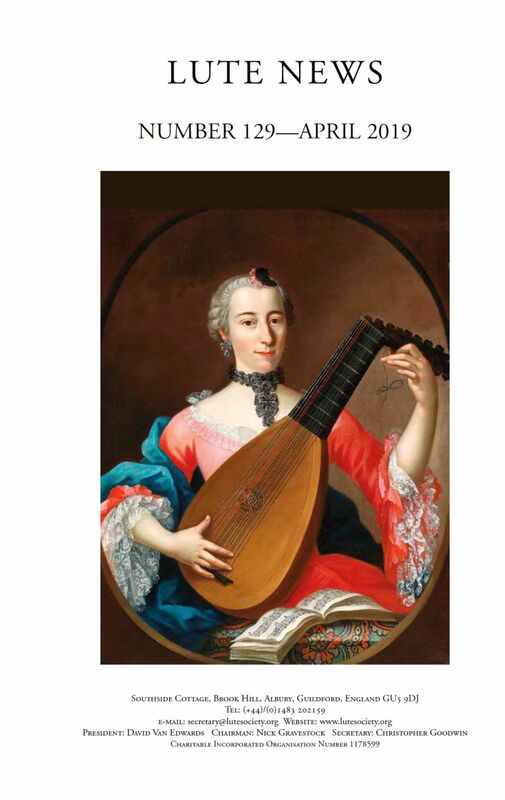 New Lute Society Music Index - Lute Society Music Index compiled by Michael Heseltine, where you can search all the music supplements of Lute News by title or author. Summer school listings have just been updated. Still plenty of courses if you haven't booked your lute holidays yet! (Teachers, please contact the Secretary if we've missed any; see summer school listings. Next meeting: Saturday 11th May, at the Dutch Church in the City of London. See meetings for details. 158 early Cinquecento preludes and recercars - a bumper collection of early Italian lute music, all standards, beginner to advanced, see catalogue for details. New Lute Iconography Database - the Lute Iconography Database is a new online resource holding around 2000 images and other depictions of the lute covering over 1000 years of the history of the lute, now available for scholars, players and lute makers and anyone else interested in the history of the lute. Delve in and enjoy! A song setting of Miserere, My Maker (Anon) from the Turpyn Book of Lute Songs, by Wilfred Foxe. The Dohna Lute Book - a digital facsimile reconstruction of a book of three German tabulatures by Mattheus Waissel: Lautenbuch 1592-12, Tabulatura Allerley -13 and Tabulatura Guter 1592-14. Four Songs from the Book of Common Prayer for voice, lute and viol by Roy Marks. The Improvising Lutenist, by Gilbert Isbin - designed to teach improvisation in a contemporary style. New page covering small ads - lute music for sale. The Lute Online Resources Portal is now live. Most websites mentioned in the last 15 years of Lute News now have links there, and some of the pages are reasonably complete. Others have only sample content - particularly the composers and sources pages - new material will be added to these each day. You are warmly invited to send in interesting links you think we have missed - let's build a Grand Universal Lute Portal! 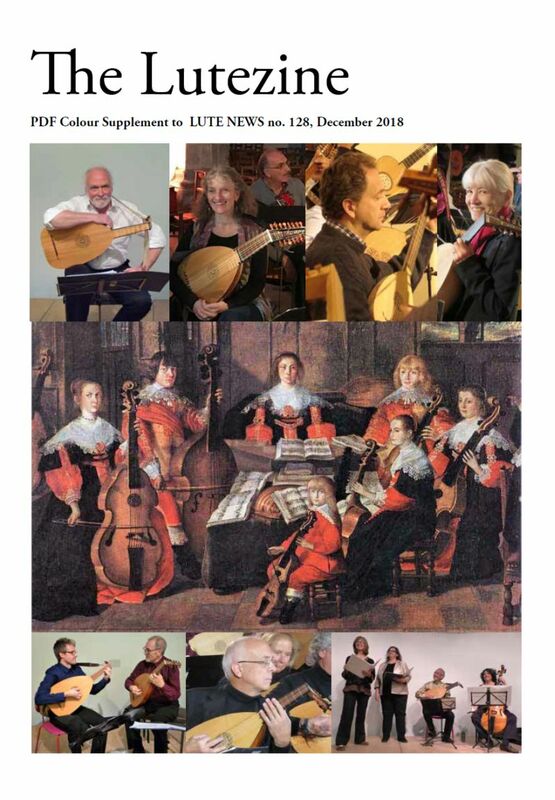 Looking for a lute player, accompanist, duet partner, or beginner's 'buddy'? We can help you find a lute player in your area, or for your special event (wedding, banquet, advert etc). We are also starting up a lute buddying scheme to put new players in touch with lute buddies in their area. Some selected recordings from meetings are now available. Back issues of Lute News now available for purchase online. Now you can fill in any missing copies in your collection. New pieces on our members' compositions pages - recent updates by David Protheroe, Steven Watson, Laudon Schuett and others. Photos of recent Lute Society meetings and events by Pam and Graham Hope - photo gallery - meetings and photo gallery - events. Also updated with gallery of many older photos from our archive going back to 2003. Update to our free baroque lute tabulature download page: Intabulations of Lully by Mouton, for 11 Course Baroque Lute. The first Lute Society summer school - Early Lute Society Summer Schools remembered by Bill Samson. Compendium of 178 Polish dances - another bumper edition! 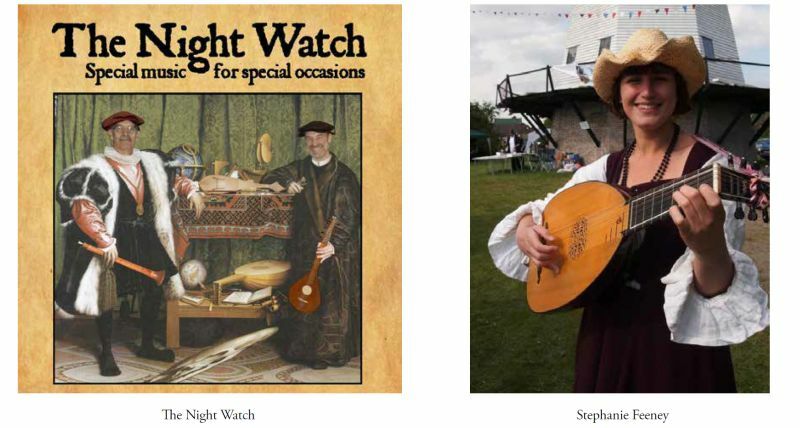 As well as our online shop where you can purchase our publications, our website contains a number of listings of lutes for sale, makers, teachers, publishers, summer schools and other links.